It’s only been a week and a half since I arrived in Bologna and already I miss the variety of ingredients I was able to find in the United States. 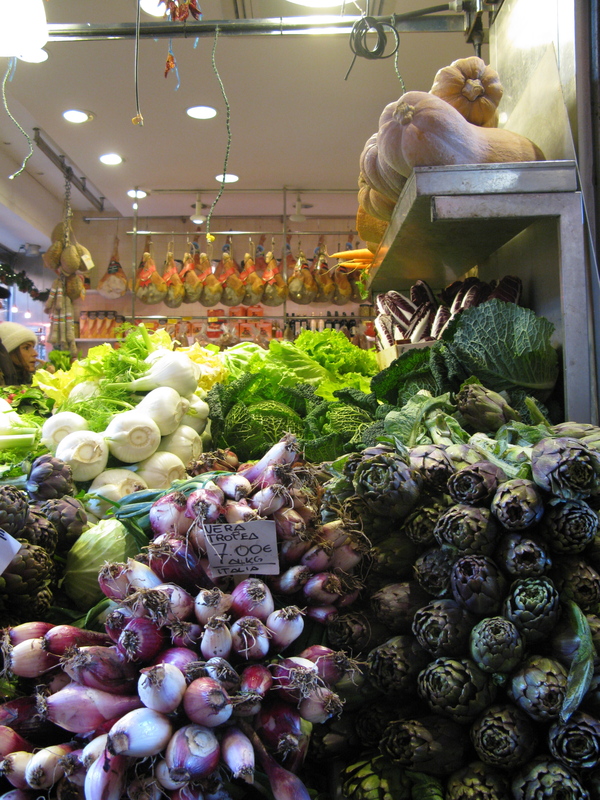 How ironic to be surrounded by traditional, local ingredients yet search for products that are anything but common in Italy. 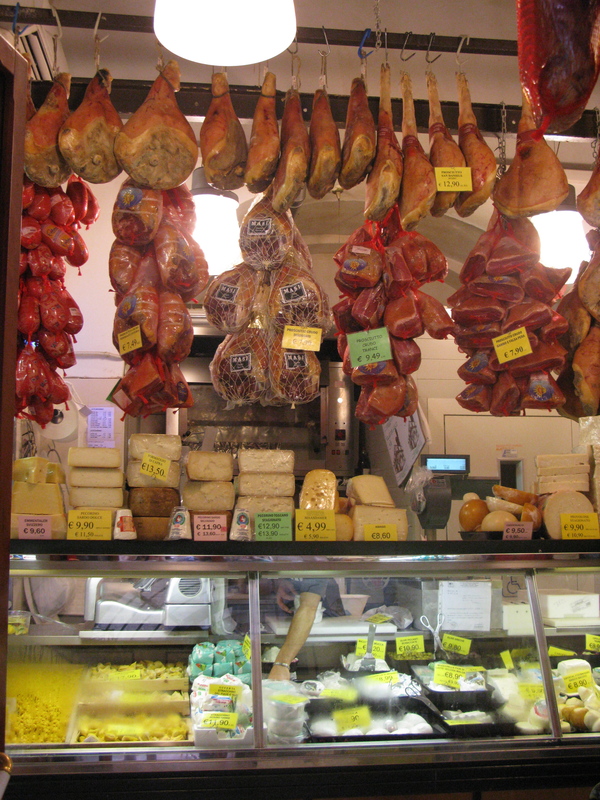 Suddenly, the Italian staples I had to search for in the US – mozzarella di bufala, prosciutto, pancetta, fontina, pecorino, parmigiano, fresh pasta – line the supermarket shelves and become common, everyday ingredients. Instead, I now find myself looking for foods I could easily find at home but that are sold here only in a few specialty shops – almond butter, agave, quinoa, oatmeal, brown rice, maple syrup, avocados, limes … and the list goes on and on. Thankfully, Bologna has a few health food stores, NaturaSì being my favorite, that stock these kinds of ingredients — the price, however, is double or even triple of what I used to pay at home, forcing me to choose between “exotic” foods I consider to be staples. Yesterday, I visited Asia Mach for the first time, the only Asian grocery store in the city. My eyes lit up as I entered the supermercato asiatico and saw aisles filled with a wide array of ingredients ranging from Chinese, Japanese and Thai to Moroccan, Mexican and even typical American foods such as pancake mix and peanut butter. I filled my basket with spices — tumeric, garam masala, cumin, dried kaffir lime leaves, dried lemongrass — and rice wrappers for spring rolls, soy sauce, sesame oil, chile sauce, and coconut milk. While I rifled through the spice bins and debated whether to buy rose water and corn tortillas now or later, my boyfriend, Emilio, examined curiously the unfamiliar packages of wasabi covered peas, instant ramen, thin rice noodles and the small decorative sculptures for sale. While I was delighted by my discovery, on the bus ride home I began to reflect on my purchases and felt guilty for not having gone to the Mercato delle Erbe to buy fresh fruits and vegetables that day, or to the local butcher, who has an expansive selection of cured meats and cheeses and fresh tortellini and ravioli for sale — all products I yearned for while I was in the US. While I do visit the market often and do most of my shopping at an Italian grocery store, I soon tire of pasta and cheese and begin to crave lighter, more varied meals. Growing up with access to a wide range of cuisines, I find it difficult to eat one type of food for more than a few weeks. Last year when I shared an apartment with five other Italian students, often they would come home as I was making dal, or chicken tagine, or tacos and they would come to the stove to examine my strange concoctions and ask me quizzically, “ma che cucini?” When I brought back packets of spices from my trip to Morocco, they complained that the whole apartment smelled like an Indian restaurant. Luckily, Emilio loves to try new dishes. Once again I am finding the balance between immersing myself in local food traditions and taking advantage of the local ingredients yet satisfying my need for variety and creativity in the kitchen. Now I’m off to the kitchen to make cous cous with dried apricots and pinenuts for dinner and to ponder what to make with my new purchases! 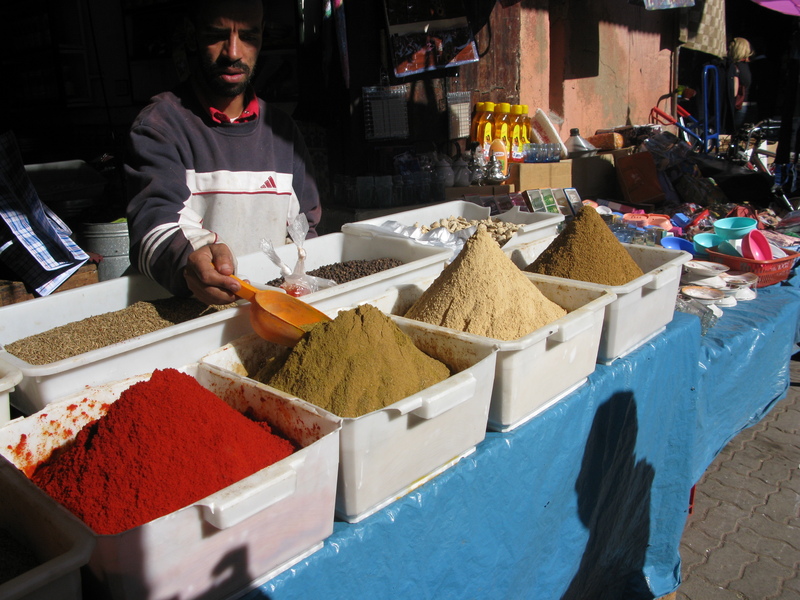 Thank you for sharing your experience at the ethnic markets looking for the ingredients and spices that you love, I agree with you that sometimes we take forgranted how many types of herbs, fruits, meats, and other sabory ingreadients we have right in our fingertips back in our countries of origen. Can you share an easy cous cous recipe? By the way your dinner sound perfect! Thanks again for sharing your experience, hope all is well, my regards to Emilio. Thanks for your comment! I think it often takes moving to another country to truly appreciate and understand your own culture, and that includes food culture. I’ll definitely incorporate a simple cous cous recipe into one of my future posts! Great request! I’m about to make pizza dough for dinner tonight (it’s a Friday night tradition here as you know) and I look at your photo of all that cheese and those curd meats and I salivate! I have good access to a range of local cheeses, and I can get my hands on okay fill-ins for Italian fontina, but it’s the meats that are so difficult to find, I think. I wonder why American farmers have largely lost the art of drying hams and curing different kinds of bacon. I remember reading Little House in the Big Woods and marveling at how they used every part of their pigs, and I loved it when our friend John used to hang a ham every fall in his attic and by Christmas it was divine. That should be a local product, a custom, a given in almost every Vermont house! There’s certainly no shortage of cured meats here — I hardly know which to choose and I doubt I’ll ever be able to taste them all! I agree with you, it’s a shame that so few farmers cure their own meat in Vermont, it’s something well worth doing and I imagine it would be in high demand!